There are several nationalities in Turpan, including Uyghur, Han, Hui, Kazak, Russian, Manchu, Zhuang, Miao nationality, etc. During which Uyghur people account for 70% of the total population. 23% people are Han nationality. Situated in the intermountain basin of east Tianshan Mountain and the middle part of Turpan Basin, it has an average of 32.8 meters above sea level. In 2015, it become a prefecture-city of Xinjiang which is the third prefecture city in Xinjiang after Urumqi and Karamay. In 2017, it got the title of “national garden city”. Grapes: Turpan can be given the name of “the home of grape”because there are more than 600 categories of grapes in Turpan. Grapes there are blessed with high quality owing to the large differences of the temperature between day and night. Karez: It is an irrigation system of Wells connected by underground channel. Turpan is located in quite dried inland areas but the place could plant various vegetables and fruit thanks to Karez. The Karez Folk Garden could bring you the culture and history of Karez in Turpan. Wonderful View of Desert: The Kumtague Desert Park (库木塔格沙漠公园) provides endless view of desert and it is one of the top tourist attractions in Turpan. 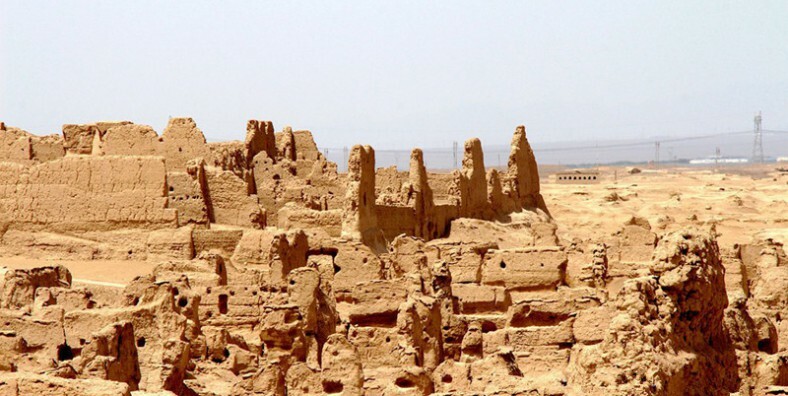 In Turpan, you could see the view that shows the connection of city and desert.